Today's post is part two to my article on Graftobian Foundations and Powders. As I mentioned in the previous post, these professional grade cosmetics are super versatile and apply flawlessly. I often get requests on showing how I apply foundation on clients so I decided that it would be appropriate to show you how in this video. Considering that I mainly use Graftobian foundations in my kit, it was easy for me to show you how to apply these products. Check out my video for the live tutorial. 1) Start with a clean face. I usually give my clients a face wipe to wipe off traces of oil, dirt, and product. 2) Moisturize or apply oil control lotion and eye cream if needed. 3) Apply primer then anti-shine if needed. 4) Take your spatula and scoop out a pea sized amount of concealer. Use a fluffy crease brush to apply concealer to problem areas. Tap in and blend out edges. 5) Use remaining concealer (if needed add a little more) and then mix with moisturizer or mixing medium (I use MAC Face & Body) then stipple over entire face to apply overall even coverage. 6) Set using HD Pro Powders using large powder brush. 7) Contour using HD Pro Powders. 8) Blush and then cheek highlight if wanted. 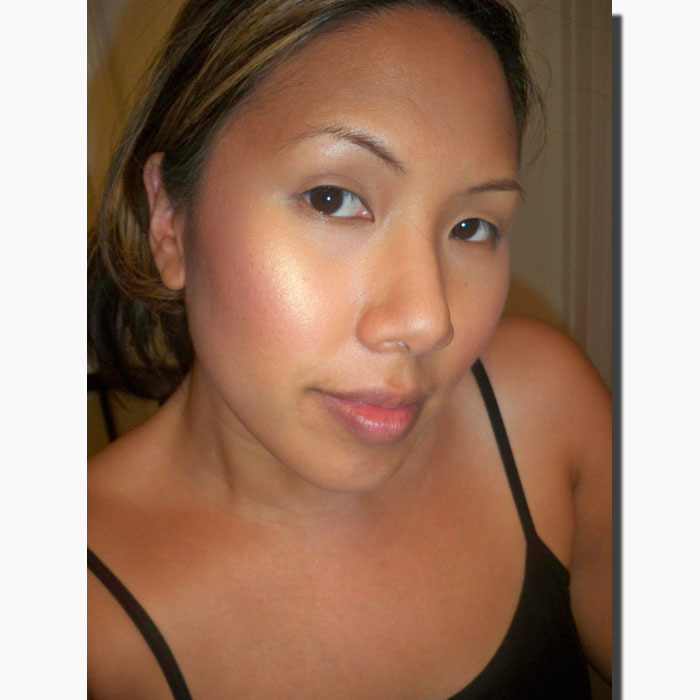 Apply cream foundation to entire face and blend out with damp sponge. Set with pro powders in a patting motion as to not remove makeup. Spot conceal and then buff in HD pro powder over entire face as foundation (most men prefer the powder over the liquid...I think it's psychological, lol). Here's an after shot of my foundation application. The picture is completely unedited. I applied a light to medium coverage. As you can see, it just makes you look like you have really nice skin which is how foundation should look. I hope this helps some of you all. You can use these techniques on yourself or on your clients. Remember you can check out these products at www.graftobian.com or the upcoming IMATS show in LA. I'll be there! Love the video! This is almost exactly how I apply Graftobian to my clients. I think I'm gonna have to invest in more of the pro powders now after seeing this :P That neutral palette looks perfect! Really great video!! Thinking of getting these palettes for my kit!!! Saw them at The Makeup Show NYC and they look wonderful! Great product review! I love graftobian HD palette. Every time I use it on my clients they can’t believe how flawless their skin looks. Keep doing what you do! love graftobian, and love that all the shades are in one big palette, so i just need 3, instead of carrying tons of bottles or palettes like CS. Having said that, CS foundations are more suitable in Malaysia, where it's always hot and everyone's always sweating somehow.